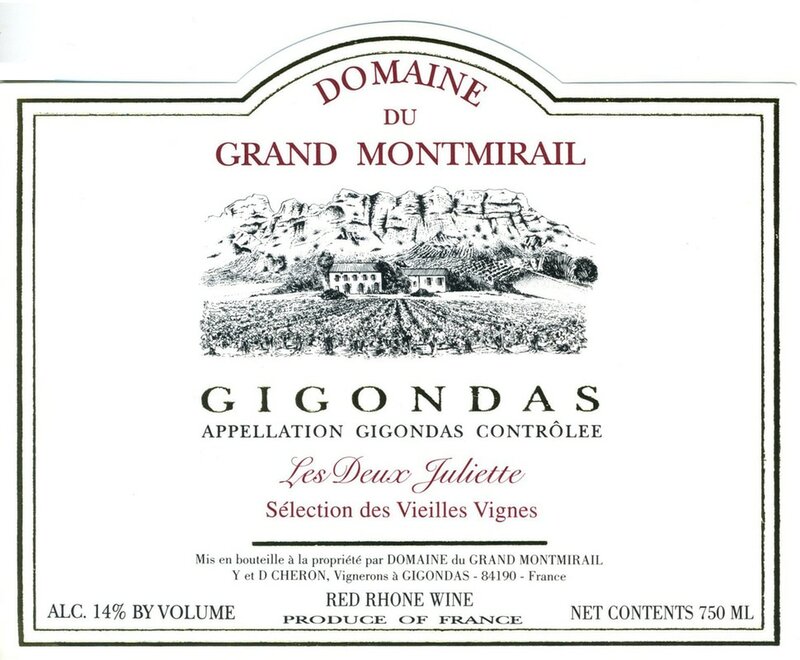 Domaine du Grand Montmirail Gigondas Les Deux Juliette Vieilles Vignes: This cuvée is named after the daughters of the producer (Yves Chéron) and the importer (Charles Neal), both of whom have girls named Juliette. The blend is 80% Grenache from 55 to 65-year-old vines, 15% Syrah and 5% Mourvèdre from 30-year-old vines. The yield is just over two tons (33 hl /ha) an acre and all the fruit is harvested manually. The emits explosive aromas of kirsch, stone fruits, licorice, pepper, suave baking spices and a slightly floral character, perhaps violets. It has a supple texture that shows plenty of elegance, and a wonderfully long and satisfying finish. 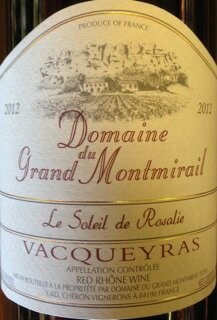 Domaine du Grand Montmirail Vacqueyras Le Soleil de Rosalie: Domaine du Grand Montmirail also owns vineyards in Vacqueyras, just as one leaves the town heading southwest. The wine is vinified in much the same way as the Gigondas, using about 65% Grenache, 25% Syrah and 10% Mourvèdre. Replete with fruit and absent of the rusticity often associated with Vacqueyras, the offers a delicious mouthful of wine, with notes of berries, spice and a finishing note of licorice. 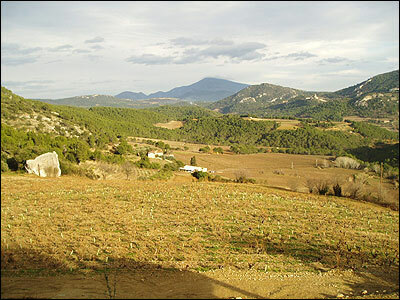 ​The subsoils of their parcels are composed of sedimentary clay from when the sea covered this site. The rise of the Alps created many rifts, including the emergence of the impressive rocky barriers that are the Dentelles. But this clay is littered with small pieces of limestone, and it is the combination of these two soils that help give Grand Montmirail its round, approachable texture. 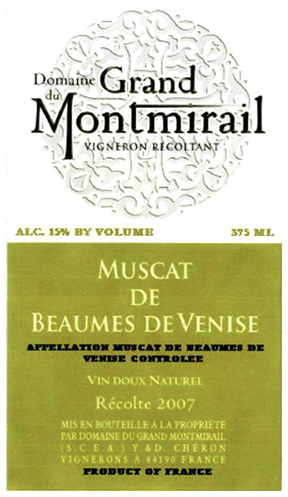 Domaine du Grand Montmirail Beaumes de Venise: Their Muscat à Petits Grains comes from hillside vines planted on the opposite side of the road toward Suzette. 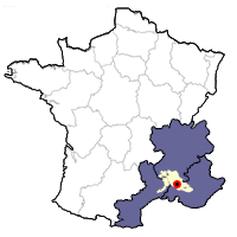 The grapes are harvested by hand and fermentation begins with their indigenous yeasts. When the grapes hit about 9% alcohol, their fermentation is muted with the addition of neutral alcohol, which prevents the yeasts from working. The result is a delightful sweet wine whose aromas include tropical fruit (pineapple, guava), stone fruits (pear and peach), along with a touch of orange. Unlike some sweet wines from the appellation, this version remains light on its feet and is perfect as an aperitif or to accompany fruit-based deserts.